Central bankers were the next best thing to superheroes during the financial and euro zone crises. But after rescuing banks, markets and even countries, they have finally encountered their kryptonite: consumer prices. Inflation has refused to materialise despite the most unorthodox efforts of the most influential rate-setters. 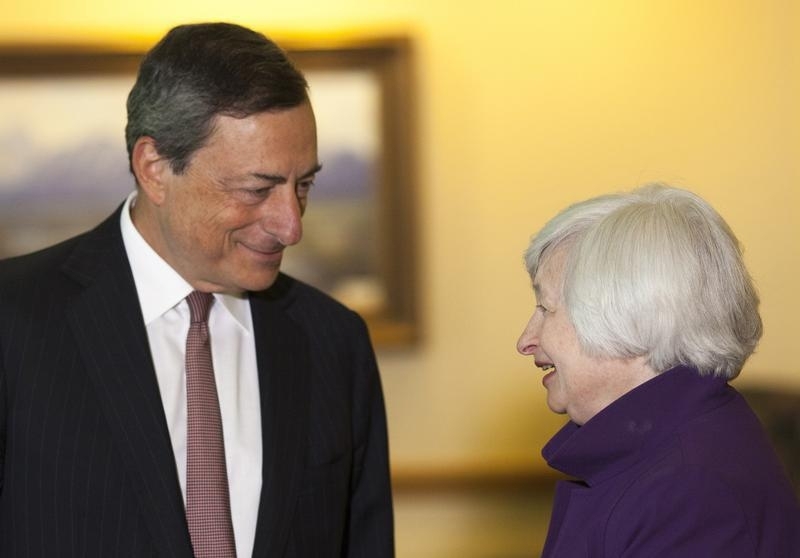 U.S. Federal Reserve Chair Janet Yellen, European Central Bank President Mario Draghi and others in the Group of Seven industrial nations have slashed policy rates to record lows and together bought financial assets worth more than $10 trillion – roughly equivalent to the combined currency reserves of all the world’s central banks. Economic activity has picked up but consumer prices are proving recalcitrant. G7 inflation averaged less than 0.2 percent in the first 10 months of the year, OECD data shows. Worse still, central bankers’ power to bend markets to their will is waning, reducing their ability to weaken currencies and thus make imports more expensive. Draghi’s old nickname of Super Mario looked less apt after his Dec. 3 policy easing had the perverse effect of pushing the euro and bond yields up sharply rather than down. Time to deploy other policy levers. First, governments could start gently reversing half a decade of fiscal policy tightening. The mostly rich OECD countries will in 2015 run a structural deficit – that is, one which strips out the effect of economic swings – of 2.5 percent of potential GDP, the lowest in a decade and a half, the international organisation says. Voters’ austerity fatigue and circumstances such as Europe’s migrant crisis and security concerns all suggest some slippage ahead. Second, pay could do with rising faster. In 2014, real average wages in the OECD rose 0.2 percent, less than a fifth of the average annual increase seen between 2000-2007. Politicians are already thinking along these lines. Japanese Prime Minister Shinzo Abe plans to raise the national minimum wage by 3 percent each year from the next fiscal year, and the UK wage floor is due to rise more rapidly in the coming years. Even fiscal and wage measures might fail. Further falls in oil prices or a Chinese currency depreciation could counteract their inflationary impact. But that shouldn’t stop politicians from using what powers they have – especially now central bankers are proving helpless.